Hello this is my first time posting to this forum I have a year and a half husky named Juno he is a good dog most of the time but his behavior to other dog and to some people is unacceptable to me. The big issue to me now is when him and I are at the dog park when another dog arrives his hair goes up and acts crazy and usually starts to growl and show is teeth. Then I usually tell him now and take him home I dont like doing that I wish he could get along with other dogs. If anyone has any advice for me that would be great. So he is fine when you first get there, but once you are there and another dog enters he growls/shows his teeth? Is it because once the new dog comes in they rush up to him? He is fine when he's alone he just smells and runs a lot. When a new dog comes he start whining and the back of his hair raises just a little he also usually tries to jump on me. Then he rushes to the gate and the other dog is there to meet him my theory is he thinks the park is his park and no one else's. Hmm that could be, does he see dogs anywhere else outside of the park? Also, do you ever arrive when dogs are already at the park? He lives with two other pugs much older then him. when we go to the dog park and other dogs are they he usually barks and whines and wants in the park but I fear he will act aggressive to the other dogs so we usually go back later. A lot of times, with a husky, what's viewed as aggression isn't so much aggression as it is excitement. Your second post, with the jumping on you and running to the gate, hair raising, I view that more as excitement. How is he in a more controlled environment with meeting other dogs? When my two play (and they love each other to death) the noises they make can sound scary, the showing of teeth, etc. 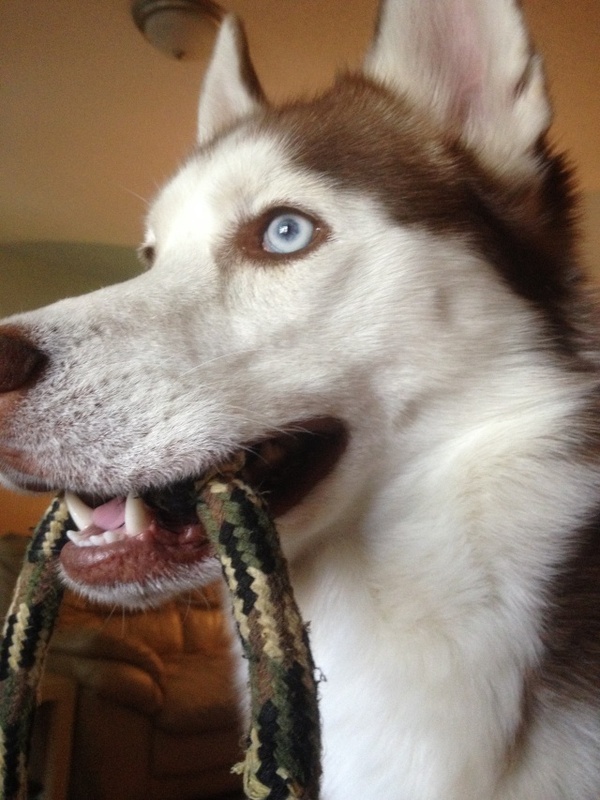 is play for a husky, but yeah, if not used to it, it can sound and look downright scary. If it is indeed excitement, there are things you can do at the dog park, like not letting him rush the gate. If you see someone coming, snap his leash back on and calmly walk him over to the other dog, and let them meet in a more controlled, leisurely fashion. Training isn't my thing, and there are a lot of more knowledgeable people than myself that can give you advice on things like this, I hope someone here can help you, I personally think though that allowing him to rush the gate isn't helping the situation. Thanks for your advice ill have to try that next time I am at the park. My issue is him showing his teeth when seeing another dog entering the dog park he just does not look and sound friendly to me at all.